Diwali is the festival of lights and joy. 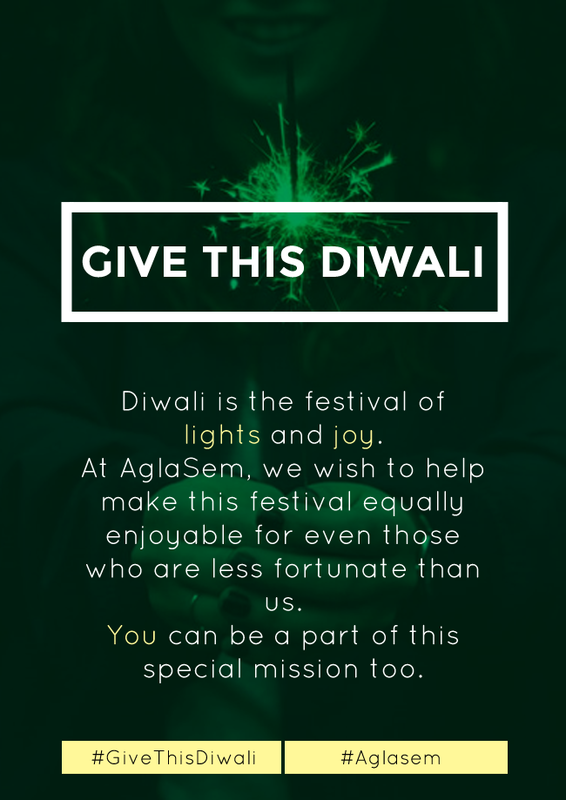 At AglaSem we wish to help make this festival equally enjoyable for even those who are less fortunate than us. You can be a part of this special mission too. All you have to do is give. While cleaning up your house this Diwali, if you come across old books, notebooks, scribbling pads, coloring books, comics, stationery or any other such item, give them. By providing such items to those who cannot afford them, you can help them take a step towards the bright light of education. Give the item/s to the needy. Capture the moment of giving. 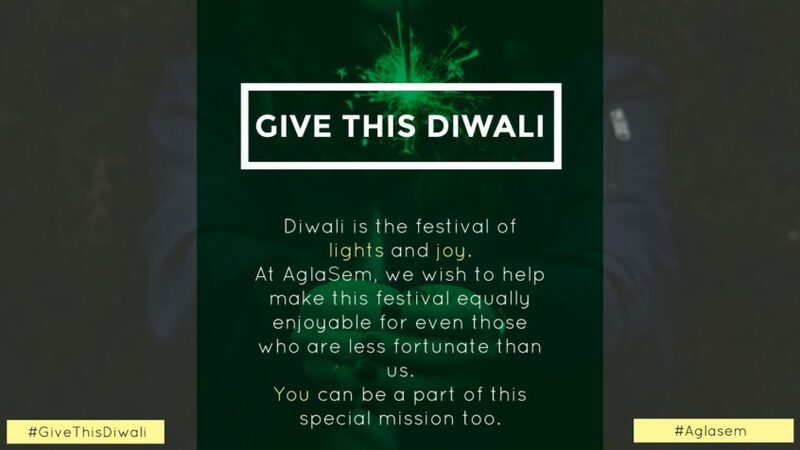 Share your post using #GiveThisDiwali #AglaSem. Tag at least 5 friends of yours who too wouldn’t mind spreading the love. Inbox us ([email protected]) once you’ve followed all the rules. 10 lucky winners stand a chance to get a special Diwali gift hamper from us. Cheat Code – Tag maximum number of friends on your list to increase your chances of winning.